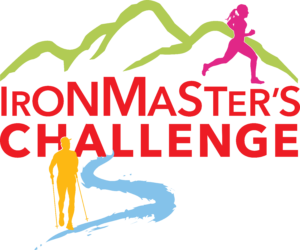 The Central Pennsylvania Conservancy and the Susquehanna Appalachian Trail Club invite you to participate in the 10th Annual Ironmaster’s Challenge. For 10 years, participants have been enjoying this springtime adventure challenge in two separate events, a 50k and 15k, both culminating in a finish-line picnic celebration at the Ironmaster’s Mansion at Pine Grove Furnace State Park, the famed halfway point along the Appalachian National Scenic Trail. We cannot wait to offer another fun and satisfying day — you will experience the same rock scrambles, grueling ascents, ridgeline vistas, spring wildflowers, rushing streams and lakesides, and epic single track trails through Michaux State Forest. Other benefits included in your registration are a tech t-shirt, a finisher’s premium for the 50K Ultra event, goodie bag, a finishline picnic lunch buffet, and a plentiful supply of local beer provided by our beverage sponsor, Molly Pitcher Brewing Company (Carlisle, PA). Each participant will be provided with instructions, trail maps, check point locations, and water/aid stations. Every year participants praise the trail course for its challenging features, scenic quality and diversity, and finish-line reception at the charming Ironmaster’s Mansion. This facility is managed by the Central Pennsylvania Conservancy, a regional land trust. All proceeds from the race support Central PA Conservancy’s mission to protect natural resources in this region through land acquisition, conservation easements, education, and outreach. Registration will open on Saturday, December 1st, and you have until March 1, 2019 before fees go up. This event tends to sell out before race day, so make sure you get your registration in early to reserve your space in a springtime experience you will never forget! The first climb that culminated in Sunset Rocks made clear that this was not a day for turning in a speedy PR. I doubt anyone cared, however, because we made a conscious decision not to run a road race this day and the course rewarded our wise decision with natural beauty. It makes sense that this race was hosted by the Central Pennsylvania Conservancy and the Susquehanna Appalachian Trail Club. These stewards of our natural treasures knew how to show off the trails that we have in our backyards. Regardless of which event you choose, you will have fun. Sunshine, fresh air, and forested trails beckon you to join us … besides, you’ll be supporting a great cause! We hope to see you on the trail. Please contact us anytime with questions you may have.